I need a 12-step plan. It’s not something that plagues me all year long, but right now, in the springtime, I cannot pass a nursery or a garden center without stopping. There might be a plant that I missed! A climbing vine I’ve not tried! And I don’t care if it is raining and 57 degrees outside; I can’t wait to start digging! The garden newbies may be small and unremarkable right now, but just wait. In a few weeks, they’ll be spectacular. I’ve probably prayed that one 500 times. It’s a wonderful, uplifting way to walk out of church and “go forth into the world” – even if the only place you go forth to is the grocery store. Let’s be honest. Most of us get the Golden Rule. Most of us (even if we don’t really follow through) would say it is a good idea to do things for other people that we would want them to do for us: Say thank you. Don’t gossip. Save some of that cake for your husband. Nowhere, though, would washing somebody’s feet show up on my list. 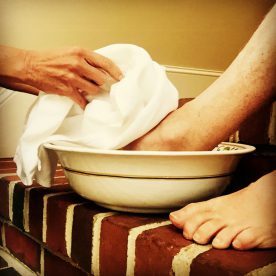 Having grown up in churches where it’s actually a thing, I have been on both sides of the basin – I have washed, and I’ve been washed – and truthfully? I think the whole process is a little bit awkward. It is too intimate, too potentially embarrassing (it’s not like we all have fresh pedicures), and too out-of-my-strike-zone. Much easier, I think, to just take somebody a meal. Which is, I think, the whole point. When Jesus gives us a “new command” about how we are to love other people (and accompanies it with a demonstration of the most humble and unappealing service) we have to do a little gut check. I mean, I like to think I would obey Christ (that I would “love as he loved”) but would I? Would I love and serve other people even if it meant getting too close? Going out of my comfort zone? Doing something that is inconvenient…messy…or hard? I don’t know. I doubt it. Which is why, when I prayed that post-Communion prayer for the 500th time on Easter Sunday, the idea that I could ask God for “strength and courage” came as a blessed relief. If I am going to go forth into the world and serve God “with gladness and singleness of heart” in the awkward or difficult places, I am going to need some divine help. Because again, let’s be honest. When you get up and go forth after church, you never know who you’ll see at the grocery. Chances are, they don’t want their feet washed. But you can bet that they want to be loved. 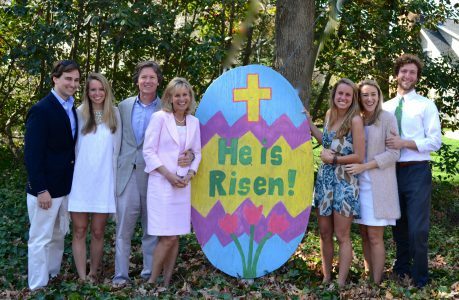 We missed having our daughter, Virginia, home for Easter. 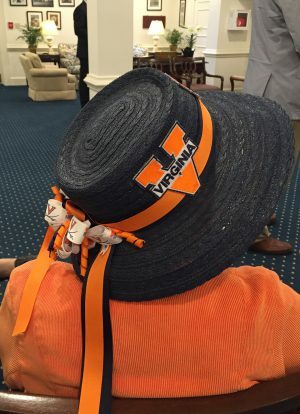 She lives in New York City and couldn’t make the trip, but we did get to enjoy some FaceTime with her on Sunday. She called us during an afternoon walk. 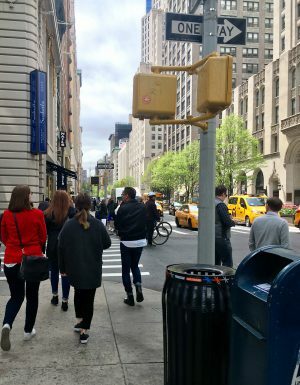 As I looked beyond her face and saw the bustling city, with all of its people and traffic and noise, I couldn’t help but wonder: Did anyone know it was Easter? Were people thinking about the Big News of the day? 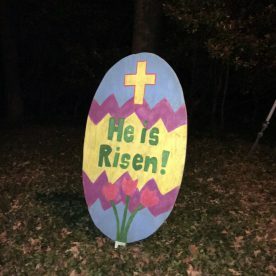 Did they care that He is Risen? I don’t know why, but that hit me. 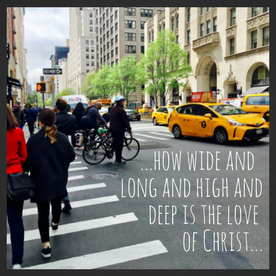 All of these people, walking around, going about their business, seemingly oblivious to the depth of God’s sacrifice…the height of his resurrection power…and the immeasurable breadth of his love. How could they not know? Okay then. That was kind of an eye-opener, and it’s really stuck with me this week. I want to know more of God’s love. I want to take hold of it. And I want my children, my husband, and my friends to grasp it, too. Which is why I am borrowing some words first written by the Apostle Paul as the basis for today’s Friday Prayer. And if that’s where your heart is today – if you are longing for more of God’s love – I invite you to join me. Pray this one for yourself, for someone you love, or (if you’re feeling like you want to go big) for every single person in New York City. And speaking of Easter traditions…thanks so much to everyone who posted a comment on last week’s Easter Basket Giveaway. I LOVED hearing your stories and reading about all the ways that you celebrate our Risen Lord! 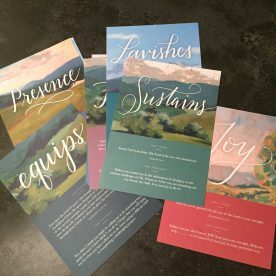 Congratulations to Laura in Charlottesville, Virginia, who won the One Word Cards from author Susan Alexander Yates and artist Christy Yates (who, coincidentally, is also from C’ville)! 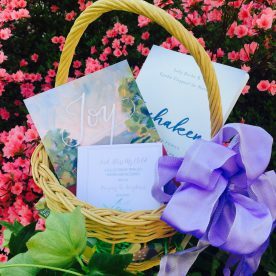 And to Emily in Leesburg, Virginia and Sally in Winston-Salem, NC, who each received a copy of the new book, Unshaken. Sally, lots of readers told me how much they liked your story about setting your alarm for 1:45 a.m., dragging your blanket-wrapped kids out of bed and onto the front porch, and listening for the sounds of the Moravian Band and their 1.5 minute-long rendition of “Christ the Lord is Risen Today.” That took top honors in the unofficial “favorite memories” contest! 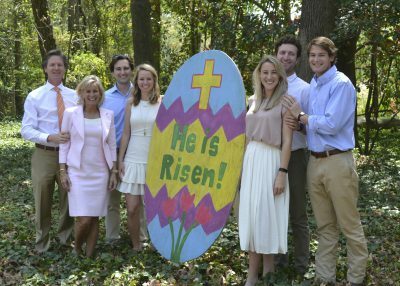 Many thanks…lots of love…and He is Risen Indeed! You know the verse. 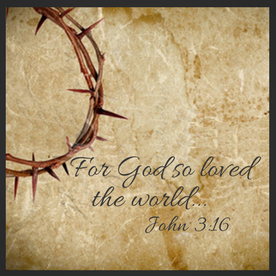 For God so loved the world that he gave his one and only Son, that whoever believes in him shall not perish but have eternal life. Holy Week. The week before Easter. 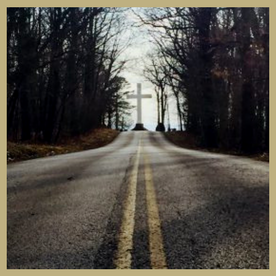 The week when Jesus knew that “the time had come for him to leave this world” (John 13:1), and that the road ahead – the road to the cross – would be filled with unspeakable pain. What was he thinking? He would suffer indescribable torment. The press of the thorns…the sting of the whip…the pain of the nails…the struggle to breathe. And he would know the heartache of watching his mother watch him die – and of being unable, in that moment, to wipe the tears from her eyes. So what was he thinking, on the road to the cross? Clearly, the road wasn’t easy. It was agonizing. So how did he do it? How did he – being fully man – get past the fear and the worry and the sorrow that stood in his path? The first is the idea of a mission accomplished. His teaching was revolutionary and his miracles amazing, but Jesus knew that the whole point of his life was the cross (“It was,” he says in John 12:27, “for this reason I came to this hour”). 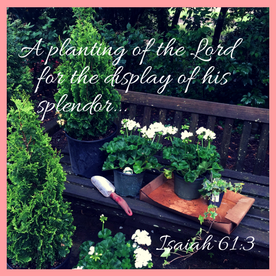 Fulfilling his purpose – the job that aligned with God’s master plan – gave him joy. The second reason was the resurrection. Jesus knew (because he was God, and because of prophecies like the one in Psalm 16:9-11) that he would come out of the tomb alive, and that his experience would open the door to the everlasting joy of God’s presence – not just for himself, but for all who would call on his name. 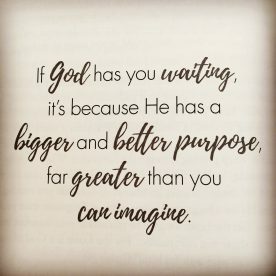 Jesus wanted to be able to bring us to God. We are the reason he endured the cross. We are, I believe, what he was thinking about, as he made his way up that hill. And this Holy Week, this Easter, I want us to think about that, too. Because we are God’s beloved – not just in the future, but right here and right now. We are – you are – his joy. Well, hello there Spring! It’s refreshing to have you back! 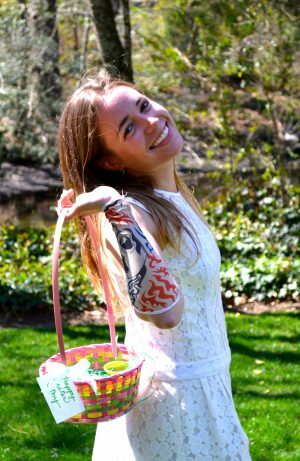 An Easter Basket Giveaway…for Mama Bunny! Unshaken. 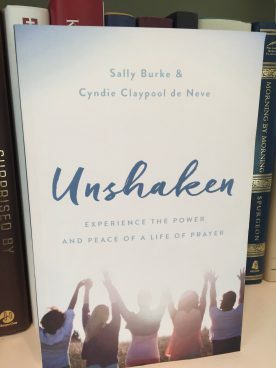 This new book from Sally Burke and Cyndie Claypool de Neve (order your copy or download a free chapter here) outlines a four-step prayer process to help us keep our eyes on the Lord and pray with confidence, even when everything around us seems to be shaking. One Word Cards. 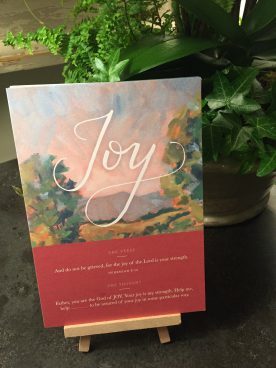 These beautiful 5×7″ cards pair the devotional musings of author Susan Alexander Yates with the stunning artwork of her daughter-in-law, Christy. Scripture Prayers and Blessings. 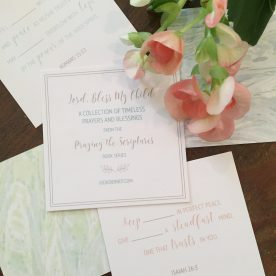 I created these little cards with help from the talented gals at Sisters Ink; they represent twelve of the best-loved Scripture prayers from my books. The marbled stock is scrumptiously thick and perfect for tucking into a child’s backpack, slipping into a note to a friend, or just keeping in your purse or car as a reminder to pray. So how about it? 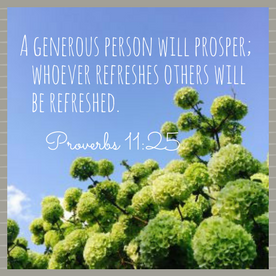 Post a comment, share a story, offer up one of your favorite prayers…and you’ll automatically be entered to win. And since there are three prizes in the basket, we’ll have three winners…so hop to it, friends! Get a little something for Mama Bunny this Easter! And for those who think that what Mama Bunny might really want is a new tattoo, try these. I can’t vouch for the design or the quality, but hey. They’re removable.